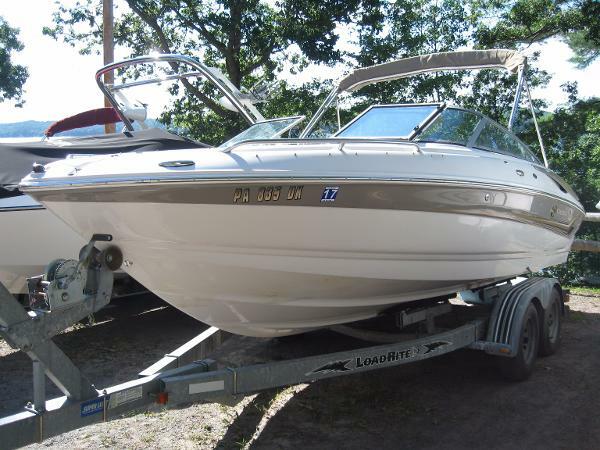 2004 Crownline Bowrider 206 LS, 2004 Crownline 206 LS with MerCruiser 4.3 Alpha and trailer. 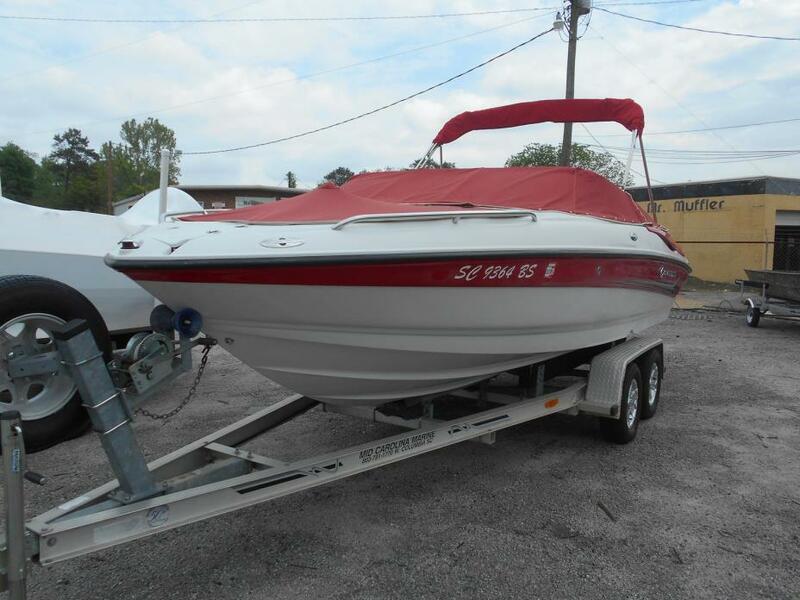 Boat comes with covers, upholstery is in very good condition and features an upgraded stereo! 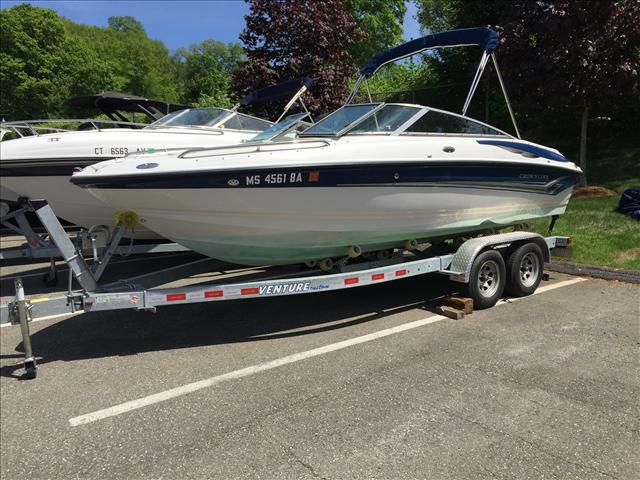 2005 Crownline 206 LS CONSIGNMENT SALE 2005 Crownline 206 LS This is a 2005 Crownline 206 LS that is powered by a MerCruiser 4.3L MPI Alpha One. 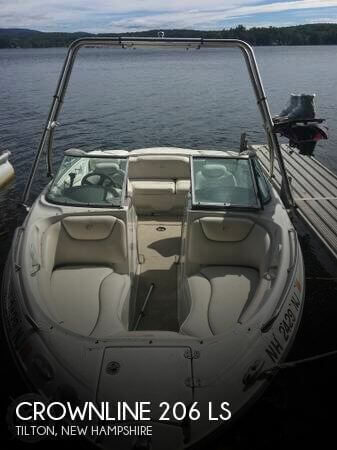 This boat is equipped with the following options: Snap-In Carpet, Bow & Cockpit Covers, Depth Finder, Wood Grain Dash & Steering Wheel, Flip Up Bolster Seats, Bow Filler Cushions, Color Matched Deck Vents, Front Boarding Ladder, Bimini Top, Sony AM/FM/CD (CD Player does not work) and Stainless Steel Rubrail. The trailer is a Heritage Custom Tandem Axle Trailer with Surge Brakes.We are selling this boat on consignment for one of our customers. No Trade In's will be accepted on this boat. 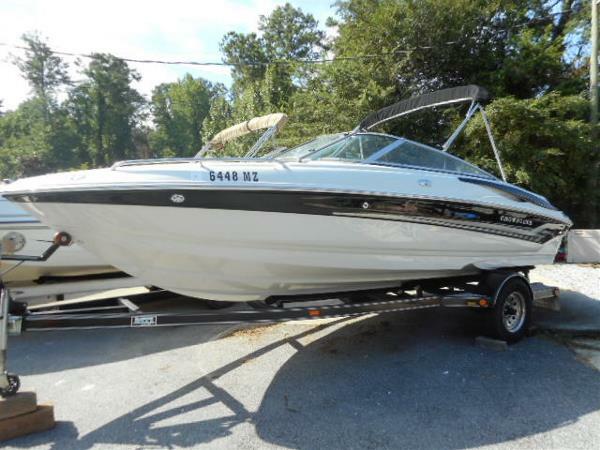 Payment must be by certified check made payable to the owner of the boat.This boat is in very good condition! The engine has 83 hours of runtime. We have fully checked thru the boat, motor and trailer and everything is in good working condition. 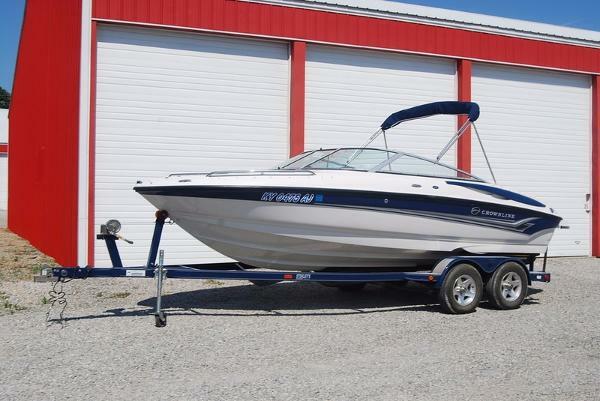 2005 Crownline 206 LS Start with our Fast-Tab hull, add new exterior graphics and a long list of standard features: Tri-Tech flip-up buckets, stand-up bimini with trailering legs and quick-disconnect hardware. The deluxe dash with Faria instruments carry a lifetime warranty. For entertainment there's a four-speaker Sony single CD stereo. Additional standards include snap-in carpet, pull-up cleats (includes mid-ship), depth sounder, extended swim platform with walk-thru transom. Sun worshippers will enjoy the comfort and convenience that comes with our attractive 36" sundeck. Nice one owner boat used in fresh water. Includes Load Rite Trailer, Cover, Bimini Top, extended platform, and more. 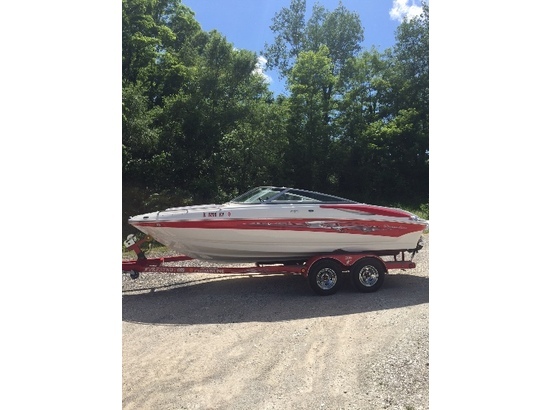 Powered by a Mercruiser 220hp V6 with under 240 hours. 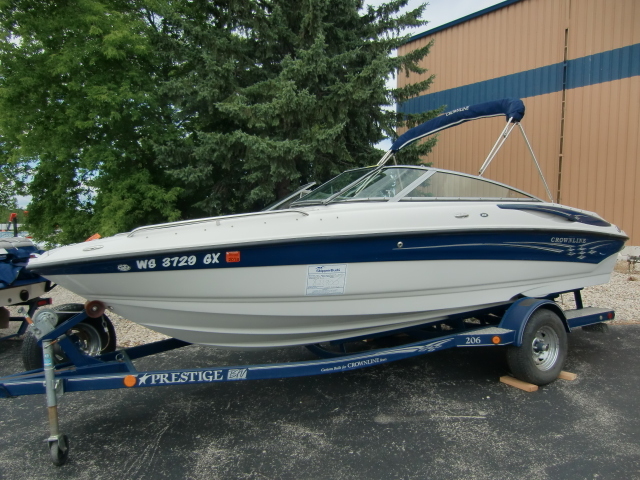 2005 Crownline 206 LS 2005 Crownline 206 LS Now Available... Nice open bow runabout with v-8... Trailer is included. Call for details. 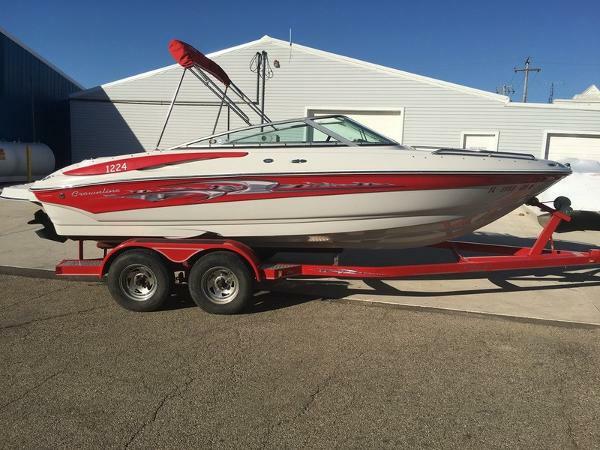 2005 Crownline 206LS, Pride of ownership & big power compliment this 206 LS. Owners change in plans allows the new owner to save almost $20,000 over new. Call today to book a showing. Listed July 1, 2016. Trades considered.